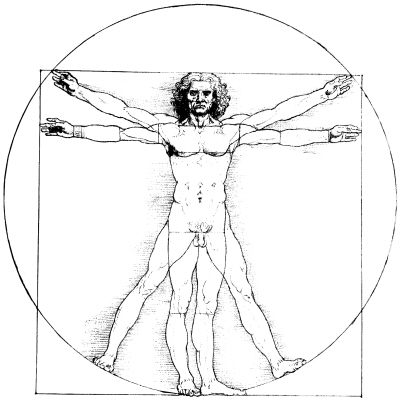 The human being is a divine construction of geometrical shapes and patterns that resonate with all natural expressions of life. 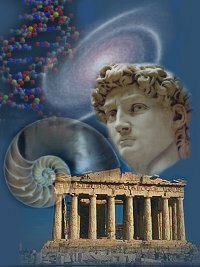 Each human-being holds within their DNA a signature coding and subsequent frequency that is in perfect alignment with his universe and potential. His hopes and dreams for his life will automatically manifest if he stays true to his original hologram. Life however, is full of contrived hopes and illusions that stymie our growth and potential expression, which if we believe in them will create fear, limitation and dysfunction. In order to manifest the life of your dreams you have to become still, patient, and willing to heal whatever has come into your life that separates you from your potential. Only when you reconnect to the sacred geometry that presides over all life, to the order that governs your life, and to the order with which you have already co-creatively predetermined your place will you know yourself to be healthy and filled with a sense of well-being. That quiet, hidden divine order set the dream of your Self into your unconscious mind and it’s in the quiet hidden order of your sacred geometry that you will find the right path to follow to realize your dream. Your individual sacred geometry determines the building blocks of the stable, non-corruptible expression of your perfect dream. This is a magical understanding, supported in esoteric wisdom. You may not want to hear it. That is to say that your left brain, goal setting side may not want to surrender to your inner inherent truth. We each have an inborn desire to be great and we have an outer fear that we aren’t good enough. We also though, have a deep knowing that we are profoundly powerful in our own right and yet feel that overwhelming fear of vulnerability and weakness created by our environment, our karma and our life’s lessons. In a judgmental, critical, materialistic, media controlled world we too often see ourselves longing for everything we are told we should want if we want to be considered successful and powerful and yet at the same time we feel the niggling despair of not being able to achieve those prescribed goals. Your dream lies in your truth. Your happiness lies in living your truth. Your truth is aligned in perfect wisdom with the Divine order of which you are an inseparable part. Your inborn desire to be great grows out of the perfection of your inherent construction; your sacred geometry. We intuitively understand the impenetrable strength that is divinely engineered into our most primitive unconscious being. A sense of personal weakness is created and experienced only when we witness ourselves as a product and reflection of the outside world. We lose our faith in our perfection when we start to identify with the crumbling impermanent world that has been built around us devoid of sacred heart and intelligence. The magic happens when we allow our consciousness to reflect the magnificent ecological harmony of a forest, or the structure of a tiny sea shell, for in their reflection we know ourselves truly. In that moment we intuitively recognize the godliness locked within our own cellular being. Even looking upon ancient structures like the Parthenon, or magnificent cathedrals or the Sydney Opera House for example will fill us with a sense of awesome innate power because they too have been constructed using the same geometrical shapes, patterns and principles that we ourselves are built of. We naturally harmoniously resonate with all sacred constructions, and in the breath of a moment can be reawakened to our natural perfection. You are a magical, alchemical human being but you may not know it yet. You are as a butterfly wanting to become it’s full glorious self even when all you can feel is the sluggishness of the caterpillar. And just like the caterpillar, it will take an alchemical transformation to shift into a new way of being. Alchemy is based in understanding the laws that govern our universe and then stepping into the role of designer. By learning the necessary skills we can become the alchemist that seems to magically create the life of dreams and inspirations, from straw to gold. Trust in the knowledge that there is an order in our Universe that is mathematically precise. All growth happens through the expansion of patterns. 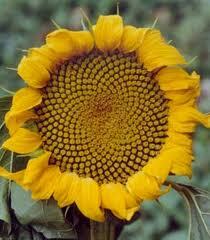 The patterns are created by a sacred geometry that manifests throughout all natural expressions of form. We are part of those same expressions. The helix and swirling logarithmic spirals map out the basic structures that govern our physical universe. Simple geometric shapes and immutable patterns shape our physical reality. You, yourself are a mass of DNA helix on a cellular level, and swirling energy spirals that all operate with logical precision in resonance with universal patterns. Thank you so much for sharing this Andrea and God bless you for it. You have used your wonderful insight to gently remind many of us about who we really are; divine, sacred beings. I find that many of us are lost at the moment as most have decided to identify who we are with who and what the outside world is. We have forgotten the words of a wise teacher who said: ‘greater is he that is in me than he that is in the world.’ We have forgotten that true power resides within our beings and we need to tap into that energy and use it as the key to manifest what we truly feel and want to see in our physical reality. Sacred Geometry and Alchemy are delightfully wonderful. Until we begin to use nature as a guide to understanding ourselves, we will forever fail to realise that everything is One; we will fail to realise how simply observing the amazing transformation of a caterpillar into a butterfly can give us vital clues into how our own transformation can occur. Nature and her elements have these clues clearly written out for us but it is left to us to identify and use them in attaining our own perfect geometry. True power and happiness will forever evade those who fail to align themselves with the natural order of all things universal. Thank for your comment. I believe that until we truly understand our innate symbiotic oneness with our world and universe, we will not understand how to manifest ourselves in divine harmony expressing unlimited potential. How simple when we remember to align with the natural order of all things universal – as you say.